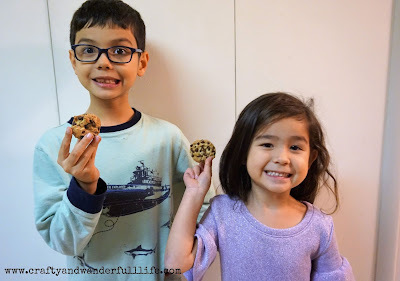 I love cookies! But, I don't always have the time to bake my own. Especially, since I've moved to working full time. And with the holidays upon us, I love having cookies in the house! So, we usually end up buying them from the store. But, while store-bought cookies can help satisfy the craving, they're not always as good. 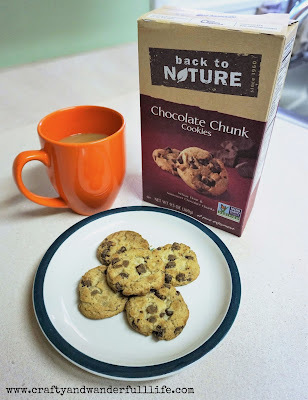 Thanks to Moms Meet, I had the chance to try Back To Nature Chocolate Chunk Cookies, which are supposed to be as good as oven-baked cookies. 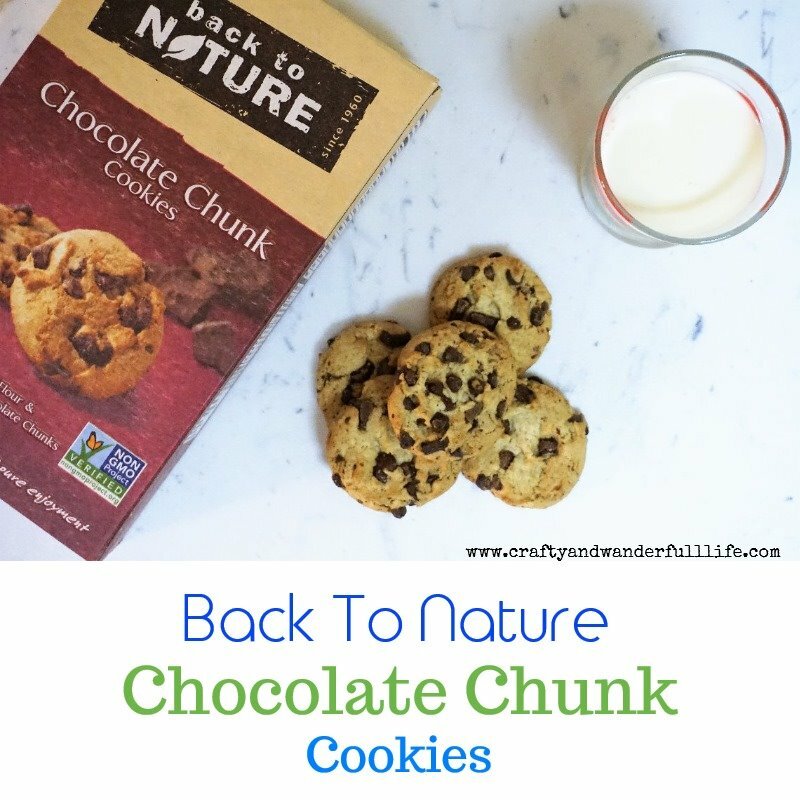 Back To Nature Chocolate Chunk Cookies are made with wheat flour and semisweet chocolate chunks. They're kosher and Non-GMO Project Verified. They contain no hydrogenated oils or high fructose corn syrup. The cookies were a good size. 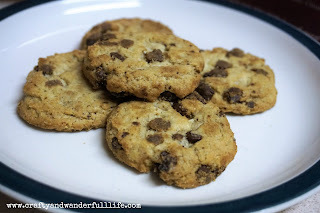 Each one had a good amount of chocolate chunks. Personally, I felt the cookies were a little too hard. I like my cookies soft. Like when they first come out of the oven. These were perfect, though, for my husband. He likes his cookies crispy. He'll leave cookies in the oven a few minutes longer than the directions say so that they get extra crispy. My kids really liked the cookies. 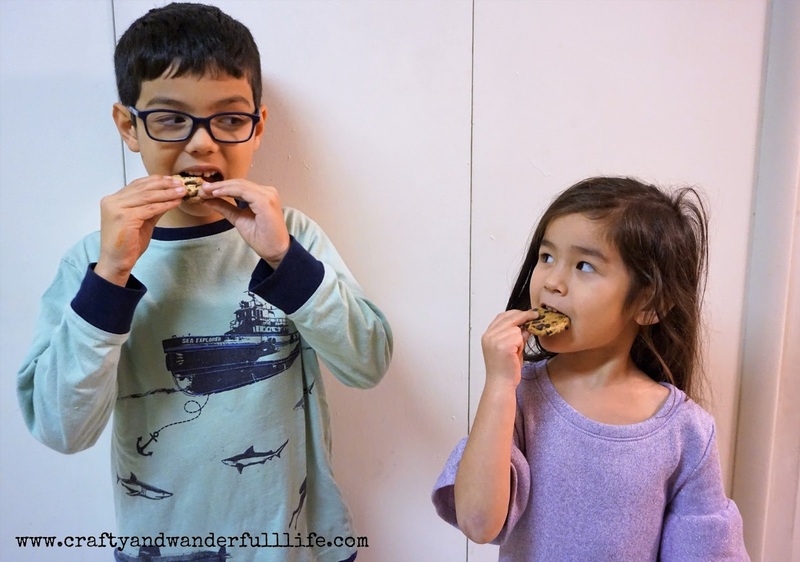 Even my seven-year-old son who's really picky about his chocolate chip cookies liked them. The family finished the whole box before I could even really take any good pictures of the cookies! I had to go out and buy another box, which actually proved to be difficult. Out of all the grocery stores in our area, I was only able to find it in one store. 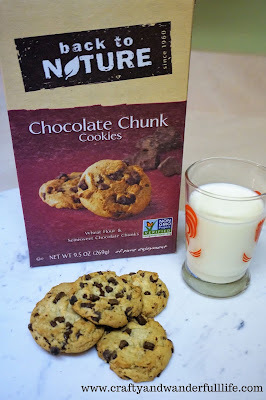 Another store carried almost every other variety of Back To Nature cookies and crackers, but the Chocolate Chunk. A 9.5-oz package of Back To Nature Chocolate Chunk Cookies retails for $3.49 - $3.99. It can be purchased from most major retailers, including Whole Foods Market, Food Lion, Giant Food, Sprouts Farmers Market and Harris Teeter. To find a store near you, use the Store Finder.